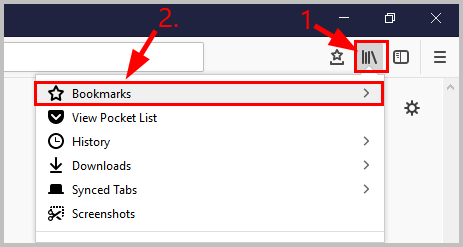 2) In the top right corner, click the three-vertical-dot icon, then click Bookmarks > Bookmark manager. 3) Click the three-dot icon. 5) A windows will pop right open. 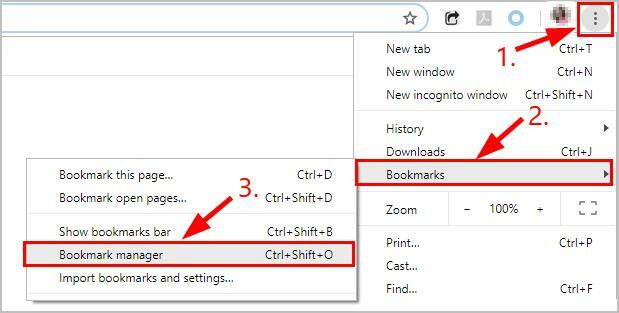 Save it to a location of your choosing, name the file of the bookmarks and make sure it’s saved as a Firefox HTML Document. Then click Save. 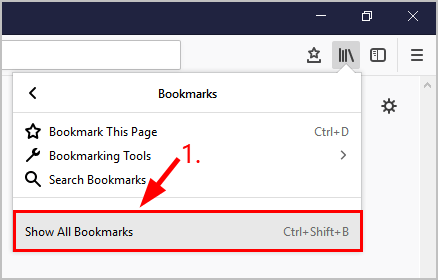 Click the Library icon and click Bookmarks. 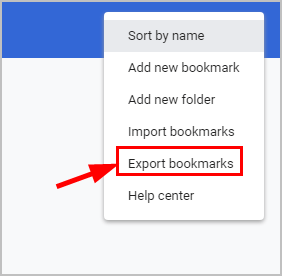 Click Import and Backup > Import Bookmarks from HTML. 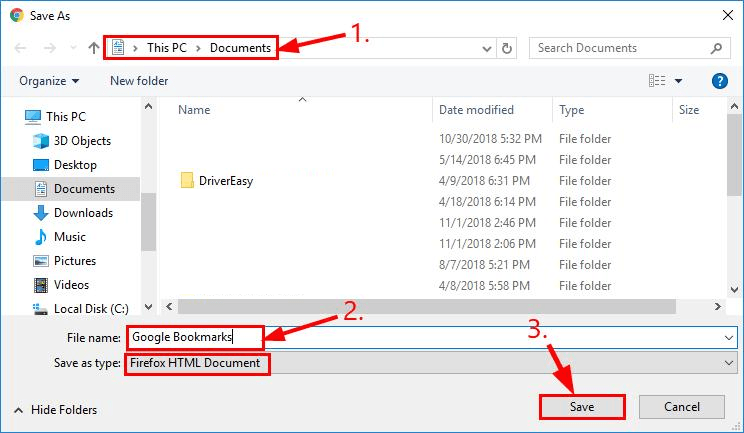 Locate and open the HTML file you’ve saved earlier and you’ll be good to go!